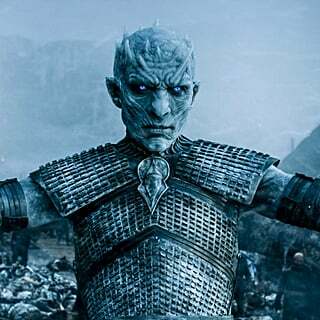 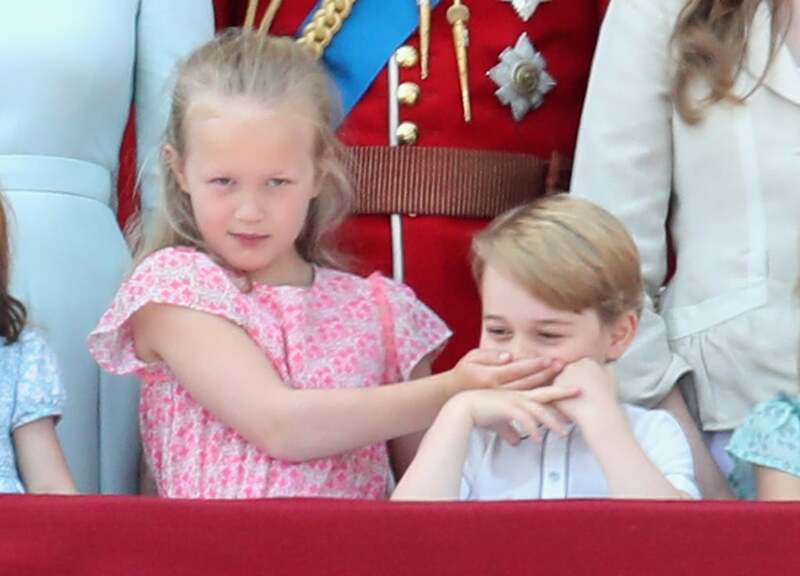 If you've ever been one of the older kids in a family group, you'll know what a pain it is having to deal with the little ones you're inevitably put in charge of. 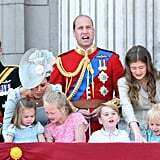 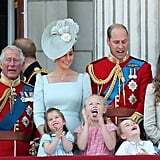 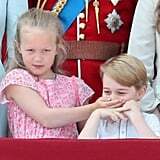 Clearly, that's how Savannah Phillips felt at Saturday's Trooping the Colour celebration, when she was spotted trying to keep Princess Charlotte amused, before shushing Prince George, and putting her hand over his mouth to hide his laughter. 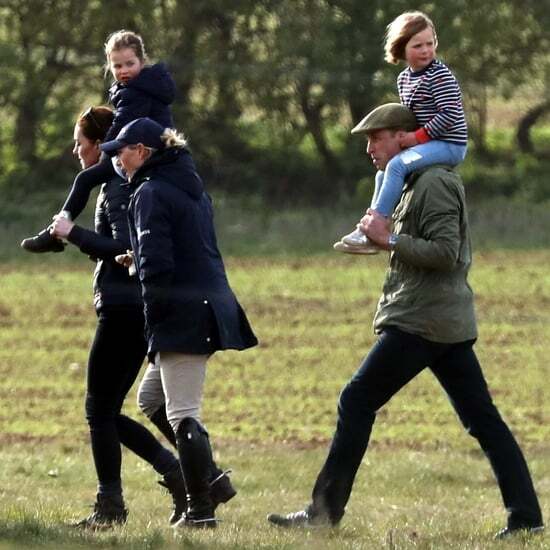 But who is this little girl who had no qualms about being so hands-on future monarch? 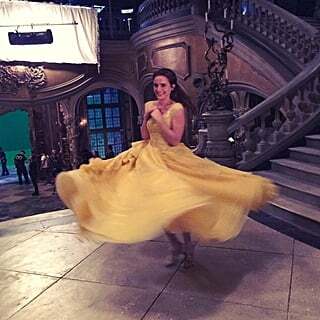 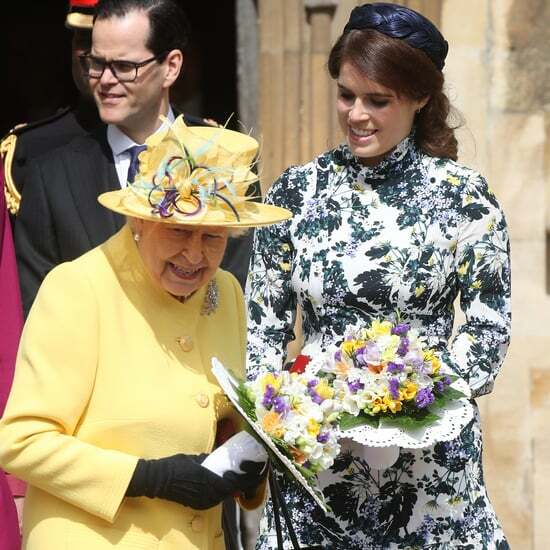 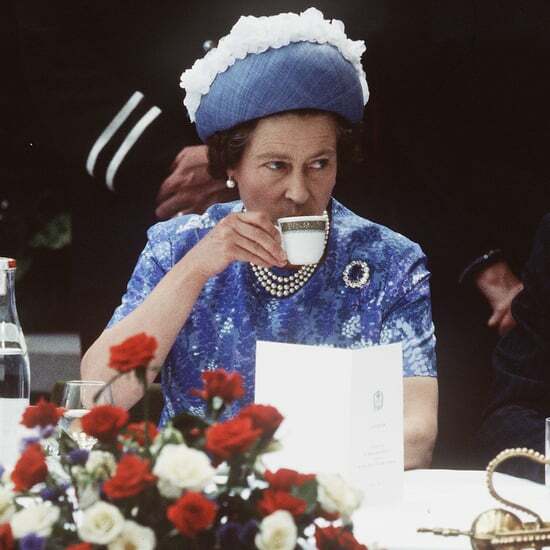 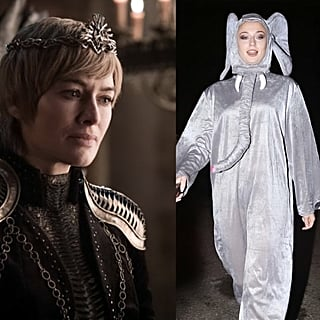 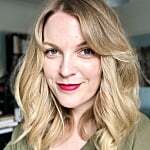 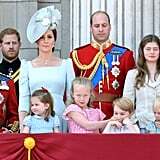 Well, she too is an important member of the royal family, as the eldest daughter of Princess Anne's son, Peter Phillips, and his wife Autumn. 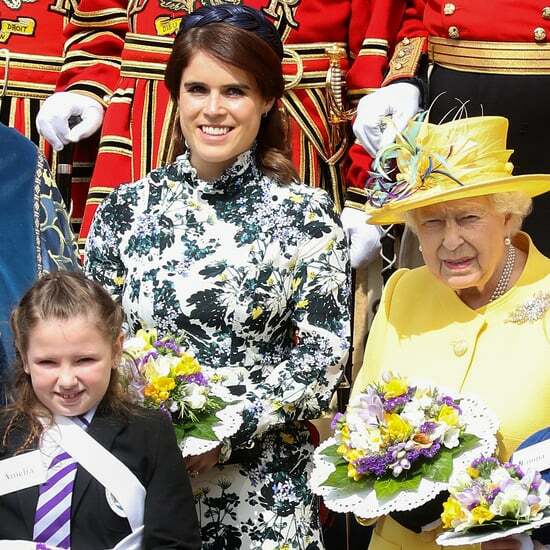 Savannah was born in 2010, and at 7 years old she is the eldest of Queen Elizabeth II's great-grandchildren. 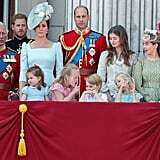 Though she's 15th in line to the throne, Savannah doesn't have a royal title, as Princess Anne and Captain Mark Phillips declined the queen's offer to give her father a title when he was born. 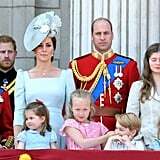 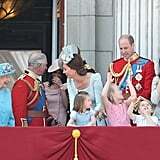 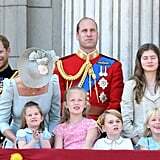 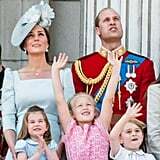 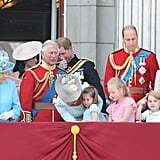 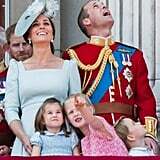 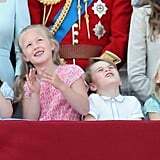 Savannah has a younger sister, Isla, who was also at Trooping the Colour, stood on the other side of their cousin George. 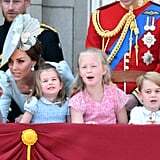 Prince William and Peter Phillips have always been said to be close, so it's no surprise that their children have a cute bond too. 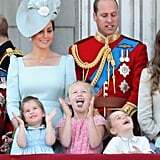 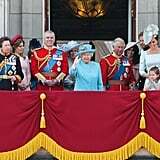 Ahead, see the cheeky young royals getting up to mischief on the Buckingham Palace balcony!